Frustrated, I decided to go back to basics. 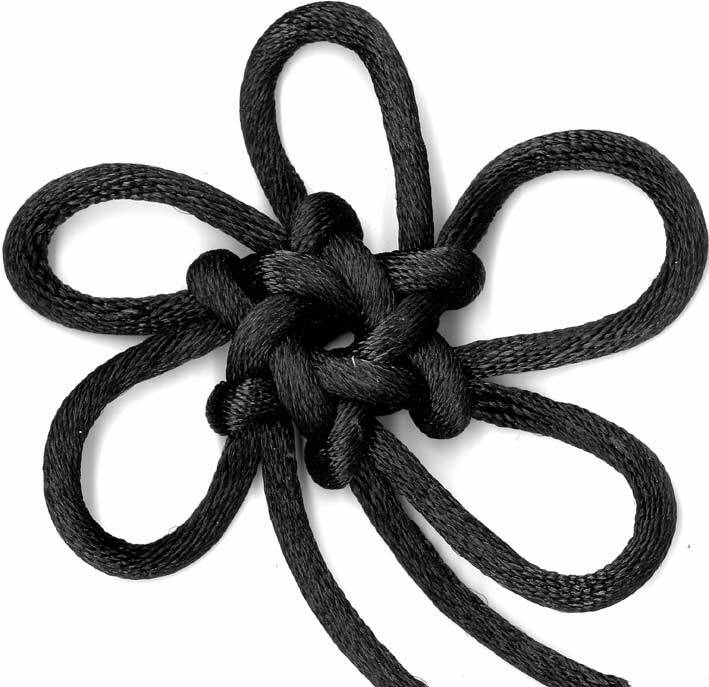 Start with a basic hexagonal stellar knot (left, the "Constellation Knot with Five Outer Loops" in the book). It works as expected (yay!) and I get a feel for the issues with tightening a stellar knot. 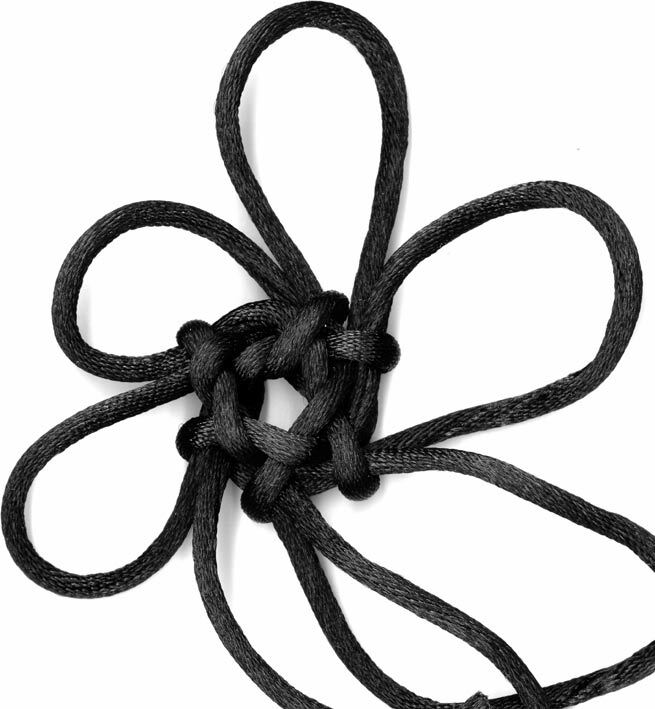 Using the structural loop path of the pentagonal stellar knot (uou), I tied a new hexagonal stellar knot (right). It works well, and if I can't get the kinks out of type 2 this will definitely be the bead framing knot. Heartened by success, I decide to try good ole type 2 one more time. As usual, everything goes well until the last pass on the reverse side. It's confusing and just never looks right (see left). Finally, I pick a path, call it done and try tightening it. Sadness. Even if I've tied it right, it doesn't tighten up in a way that looks right. I'm going to give it one more try. 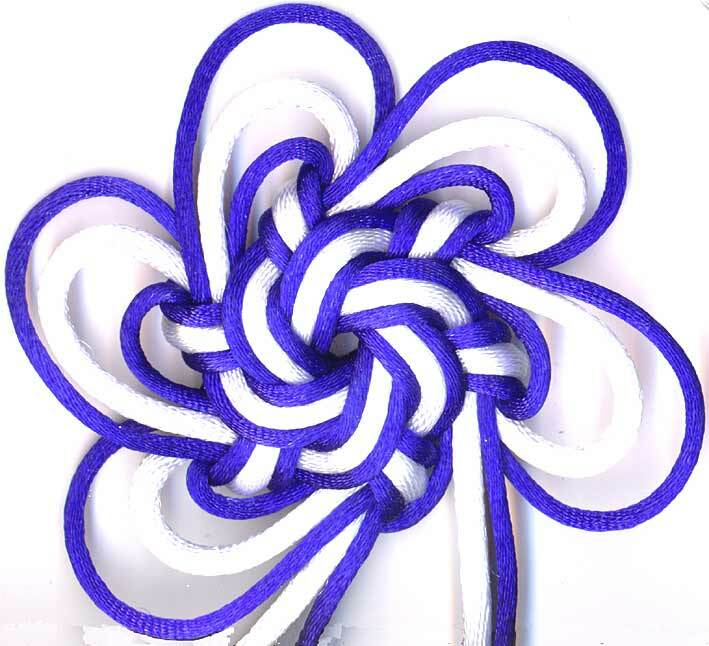 This time with a shoelace so that there is no doubt about the structure.